With a reputation for responsive customer-focused and quality driven service, our expanding client base is increasingly entrusting our team with their electrical and mechanical works. We are able to deliver complete fuel system solutions through our division - Williams Fuel Systems. This approach enables an extremely efficient combination of resources. We work closely with mining, retail, commercial and industrial clients to ensure system works are safely completed and maintained. 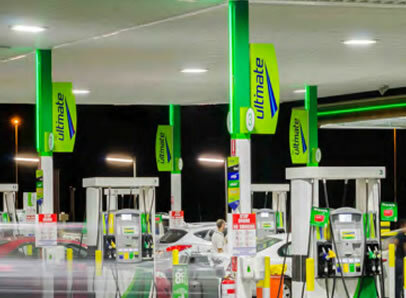 Williams Fuel Systems was appointed to supply and install LPG tanks, dispensers and associated pipework for the Auto Gas dispensing system for BP’s Freeway Service Stations on the Kwinana Freeway at Baldivis. The dual facility is collectively the largest LPG retail site in WA, with both sites comprising an underground 30kl tank, each supplying three dispensers, facilitating five hoses. These values have remained the backbone of our culture. They are encouraged in all our people and guide our actions.